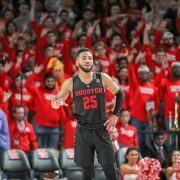 So far this season, the Coogs grab 37.1% of their offensive boards – 12.4 a game while opponents are getting to just 27.7% of their offensive boards (10 a game). 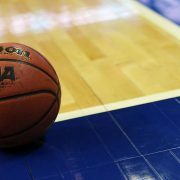 According to KenPom, the national average is 28.5. Offensive rebounding is becoming more rare: teams average about 6% less offensive rebounds than a decade ago. Many coaches have sacrificed some offensive rebounding opportunities in order to get back in transition. But the Cougars are 32nd in overall transition-FG defense and even better in transition defense after a rebound (#20 in the country). The Cougars have the best of both worlds: good offensive rebounding and good defense after an opponent grabs a board. Did you know: UH is #1 in the country in non-transition defense. On possessions where a team shoots with 0-19 seconds left on the initial shot clock, UH leads the country allowing just 39.6% shooting. This team has jumped up the national rankings in offensive rebounding even though the average number per game has stayed the same. 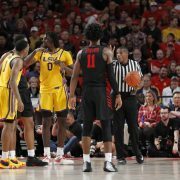 On 12/1/18, UH was getting 12.33 offensive rebounds a game, good for 66th nationally. On January 1, at 12.42 offensive boards, UH had jumped to 52nd in the country. And heading into February, UH was at 12.41 ORPG and have moved up to 40th. Most teams were better on the offensive glass early in the season against worst competition but the Cougars have been consistent all season. Obviously, consistency in offensive rebounding will be a big deal come March. 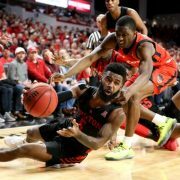 UH has been among the nation’s best in virtually every hustle stat the NCAA keeps. Hustle is in UH’s identity and it shows every time this team takes the floor. 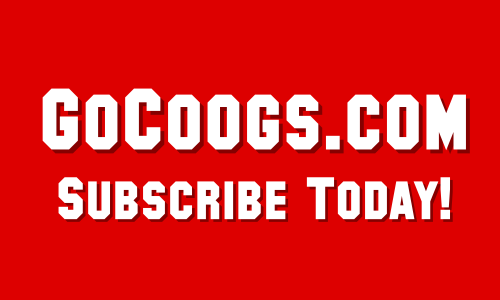 The Coogs are #2 nationally in field goal percentage defense and #2 in three-point FG defense. Sampson’s team is 6th in scoring defense and 14th in scoring margin. And they’re 8th in total rebounds per game, 11th in rebound margin and 13th in defensive rebounds per game. Tonight’s opponent, UCF, is a very good defensive team as well which means this road game will be a war. UCF is 43 in the NET – this would potentially be a Quadrant 1 win for the Coogs.